Saving your annotations onto your slides is a straight forward process. When you make any changes to the slide and you try to navigate to the next slide in your workbook, you will be asked if you would like to save your annotations. If you would like to save you annotations without being prompted, simply click on the site icon that is found in the bottom left hand corner of the screen. 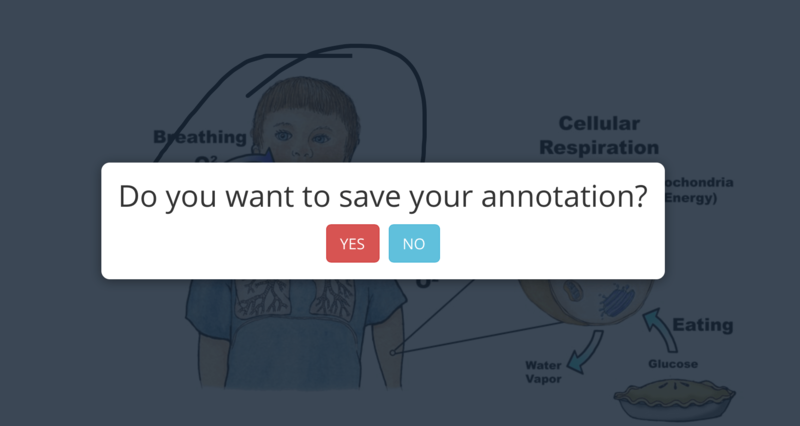 You annotations will then be saved to the page where you have made them. If you are a participant, or student that has joined the session via join.contribute.cloud, or through the email link, you are able to save the annotations you have made on the screen by clicking the save icon in the bottom right hand corner of your screen. Your annotations will be saved to your local machine in the default download directory.